Dogs may be man’s best friend, but to a dog, their human may very well be their entire reason for living. We don’t think about it that often, but our pets are only with us for a decade (two, if we’re lucky) before they pass on. We forget to cherish them sometimes. We forget that their lives depend on ours. We take them for granted…but then we read something like this that just makes us appreciate their loyalty all over again! 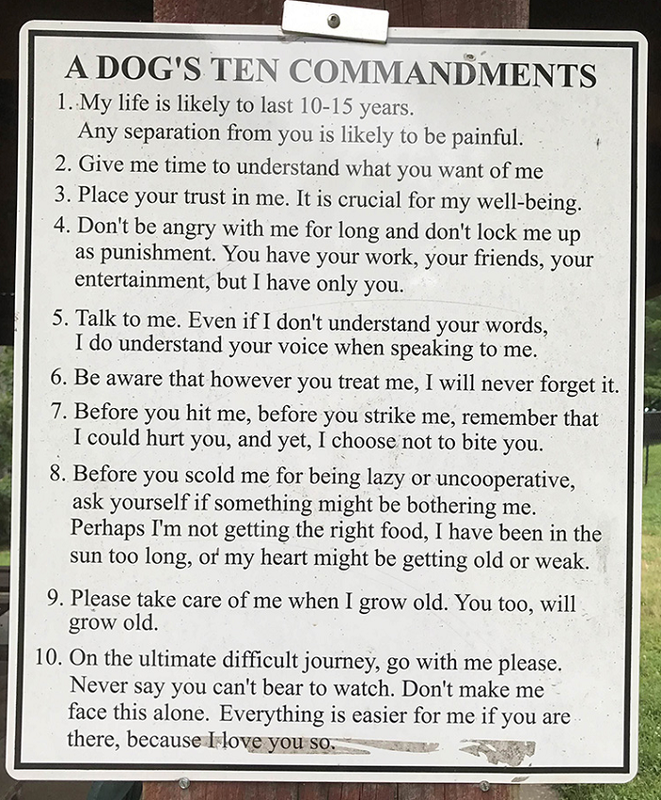 This sign was posted on the sidewalk near a large park, and no matter how many times you may have seen it, it never gets old. The sweet reminder touches hearts around the globe. No matter where you are from, what language you speak, or how big or small your job might be, your faithful companion will never care. They love and adore you, and while they might not be around for more than a few years…they leave a lasting mark on your life that deserves respect. Remember to cuddle your precious pups!